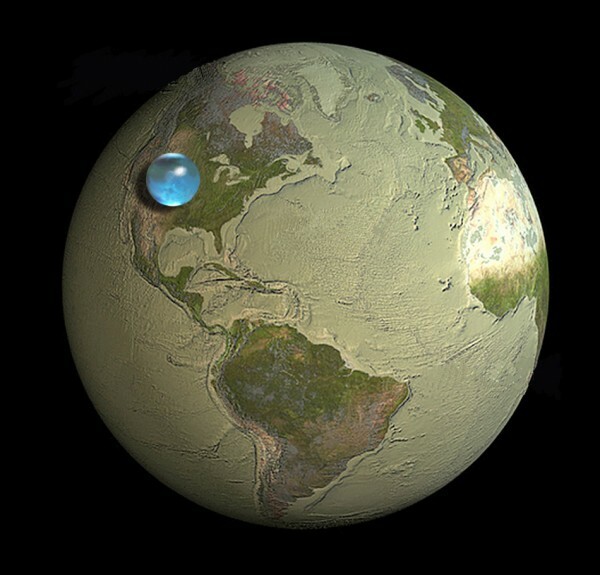 If all the water in the world – oceans, rivers, lakes, you, me and the dog – was collected and formed into a single droplet drop sphere, it would have a diameter of around 860 miles. This entry was posted in Baffling me with science. Bookmark the permalink.